TULSA, Okla. (July 18, 2018) – The Tulsa Zoo is proud to announce the hatching of 25 Aldabra tortoises this year, a new record. 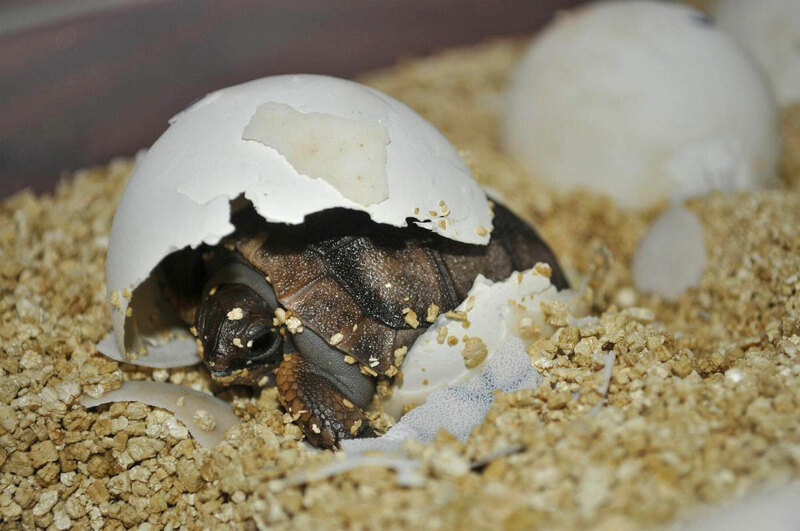 The zoo has now successfully hatched 161 Aldabra tortoises since 1999, when it started breeding this species. The Tulsa Zoo is renowned for the successful breeding of the world’s second largest tortoise species. It is the only accredited Association of Zoos and Aquariums institution to successfully hatch eggs from two females. The Tulsa Zoo has been able to collect fertile eggs every two to three years since the first Aldabra tortoise hatchling emerged from its egg in the winter of 1999. Zoo guests can see several of the tortoise hatchlings in the reptile nursery in the Conservation Center. The hatchling tortoises currently weigh between 60 to 200 grams and guests can watch as they grow in their new exhibit. The Tulsa Zoo is also home to three adult males and three adult female Aldabra tortoises. The adult male tortoises weigh nearly 400 lbs, while the adult female tortoises weigh around 175 lbs. Their ages range from early 40’s to more than 130 years old. Native to the Aldabra atoll of the Seychelles, just northeast of Madagascar, Aldabra tortoises are listed as vulnerable by the International Union for Conservation of Nature Red List.